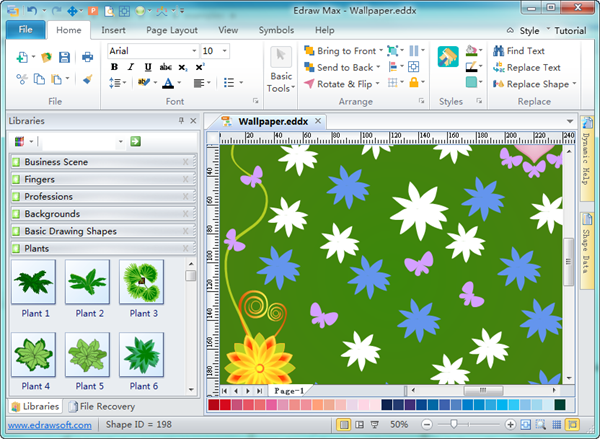 Easy wallpaper design software with rich wallpaper examples and advanced drawing tools. Choose desired wall coverings for any room from our sample wallpapers and design your own distinctive wallpaper. With Edraw's powerful wallpaper maker, it's pretty easy to design nice-looking wallpapers of any style to decorate your house. Enjoy a personal life in a cozy home with your beloved family. Discover why Edraw is an awesome wallpaper design tool: Try it FREE. Walls that look elegant and beautiful provide comfort for the people in the room. Edraw's awesome team has some creative designers who bring their own unique design talents. Our designers have made some of our most popular wallpaper collections, offering the perfect design for any room in your home. Whether you want damask for the living room, stripe for the kitchen or a floral for the bedroom, you can find your desired one. 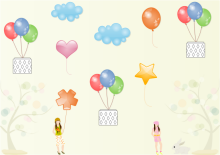 With a large quantity of pre-drawn examples and more than 8000 symbols, drawing wallpapers couldn't be easier! Thanks to Edraw's abundant free pre-drawn wallpaper templates and the drag-and-drop functionality, no drawing skill is required. 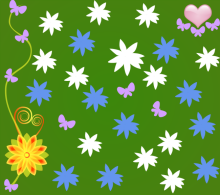 It is a powerful wallpaper designing tool which can save you a lot of time in wallpaper design. So the precious time saved can be spent on other critical tasks. 1. Readily available symbols and templates. All these resources foster instant creation of wallpapers. 2. Easy to learn and use. Just drag the ready-made shapes and drop them on your page. Done. It's that simple. 3. Advanced drawing tools. Pencil and pen tools are also offered so that you can draw shapes, diagrams and any elements for your characteristic wall papers. 4. Powerful functions. No prior knowledge is required. Automatically align and locate everything to look great. Create your wallpapers with minimal effort and time. 5. Beautiful style. Provides abundant arrows, line styles, gradient fills and textures for each object. Predefined color schemes and styles give you more creativity. 6. 100% Compatibility. 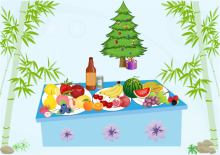 It can export wallpaper as Word, Excel, PowerPoint files with a single click. Insert your Edraw files into other documents in just seconds. In this way, you can share your design to others easily for feedback and improvement. 7. Live update. You will be notified when a new version or new templates are available for download. You can download the new version directly from within the program. Our inventive designers have designed some eye-catching wallpapers as shown below. You can click the pictures to download those you like.